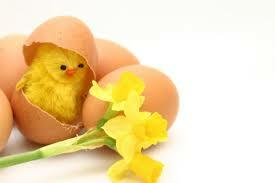 We close at 4pm Easter Saturday and reopen at 9am Thursday 25th April. Small and friendly, we are one of Birmingham’s most experienced and longest established Motorcycle and Scooter specialists. Celebrating over 40 years in the industry. Established in 1975, we are a traditional motorcycle dealership with good old fashioned values. The team here have always been very customer focused and have a well deserved reputation for straight talking and honesty. Our friendly and experienced team have been looking after customers in the West Midlands and beyond since 1975. A genuine love of motorcycles means we offer excellent service and great value for money to our customers. Situated in Yardley, Birmingham just off the A45 we are only a short distance from Solihull, though many of our customers travel from Coventry, Warwick, Leamington, Tamworth and Sutton Coldfield. When we say experienced we mean it; over the last 30 years we’ve held Yamaha, Kawasaki (18 years) and Aprilia main dealer franchises as well as the Piaggio group which include Gilera and the iconic Vespa brand. Currently we are are proud to be agents for other iconic brands; Peugeot, KSR Moto & Hyosung with their motorcycle and scooter ranges, and Eskuta pedal assist bicycles. Our customer base covers the spectrum from dyed in the wool Mods to track day specialists. As well as servicing we are happy to quote on complete overhauls, recommissioning and mild engine tuning (big bore kits, etc). Our fully equipped service and MOT centre can look after all your two wheeler needs at competitive prices. Collection and delivery is also an option. Why not pop in for a chat to discuss your plans. If customers need to collect their bikes between 5pm-5.30pm Tues-Fri if they inform us we will of course stay open for them.